There are numbers of video game recording software available, both paid and free. Most of these video game recording software will record videos without compression. This leads to large video size, so it is recommended that you only record videos to the drive that has enough space for storage. When you get the video, make sure you compress it before uploading videos to anywhere. The number of fps – A good game recording software must support up to 60 fps. It should be an intuitive and attractive user-friendly interface. While it might look trivial, it is also important to consider the price of a gaming program before purchasing it. 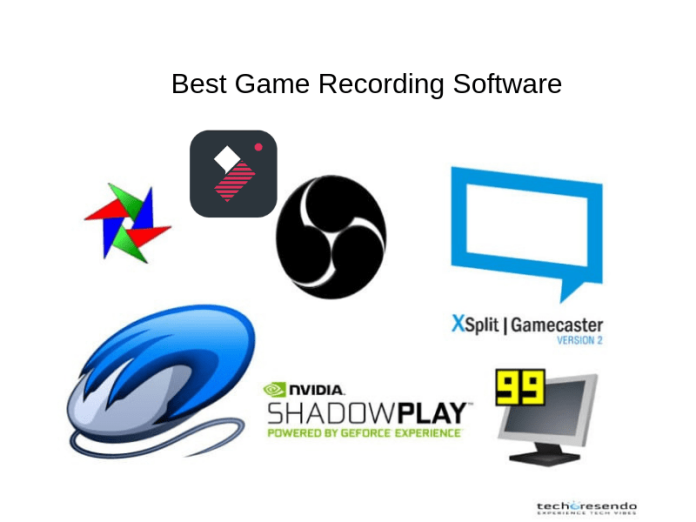 Following is the list of top 11 best video game recording software for PC that will help you to find the best video game recording software. 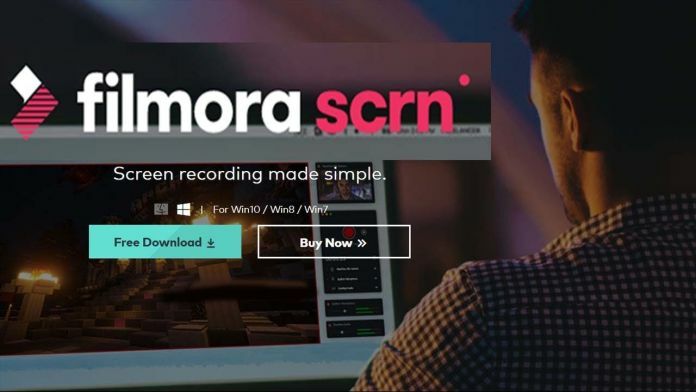 Wondershare Filmora Scrn is an incredible screen recording tool that works amazingly well for gamers and those who want to create tutorials, product demo, reviews and more. Wondershare Filmora Scrn Record from your computer and webcam simultaneously. It allows you to choose to record all, or just part of, your computer screen. It’s a 2-in-one tool which allows you to not only recording screen at up to 120fps but also editing videos such as adding annotations, text effect, callouts and more. D3D Gear is one of the Best Video Game Recording Software which doesn’t require any kind of special set up. D3D Gear offers powerful tools that are easy to use and can handle just about anything you need it to do. It records your games with minimal impact on performance while giving you the tools and options necessary to ensure your recordings are high-quality. D3DGear game recording software is the only game recording software that currently supports games using Vulkan API, Oculus Rift API and Mantle API. It also has a built-in compression system that will compress all videos recorded with it. D3DGear Supports hardware GPU encoding (AMD/Intel/Nvidia). Hardware GPU encoding eliminates CPU stress while recording movie. The integrated live streaming is a major bonus for this game recorder, as live streaming is very popular and becoming more so. The audio recording tools are powerful, it has full microphone support with in-game sound recording, and allows you to save the audio separately. It is one of the Best Video Game Recording Software which gives you all of the features that you need to create high-quality videos (4k resolution) of your gameplay. It’s an intuitive and attractive user interface, powerful recording tools, and outstanding support overshadows any drawbacks. It also has a remote access feature that will let you control your PC with your Android phone. It uses GPU to accelerate recordings and put less pressure on CPU. OBS(Open Broadcast Software) is free, open-source and comes with many customization options. OBS has a very simple interface with all the information put in front of you. You are not required to change any special settings, just select the source which you would like to record and start recording. OBS is capable of recording in MP4 and FLV formats. Fraps has a simple user interface and most of the functionality we look for in the best game recording software. It is a very light tool, just a 2.3 Mb software. Fraps was designed to run concurrently with games and record gameplay footage at the highest possible quality. It can capture videos at 7680×4800 resolution with custom frames that can be adjusted anywhere between 1-120 fps. Its features are very limited to record the game footage. You can manage screenshots, benchmarks, and audio and video recording through the user interface. The Fraps also includes frames per second (fps) counter that displays in the corner of your screen. Bandicam is a lightweight video game recorder that can record videos at customizable frame rates and 4k Ultra HD resolution. Also, it makes it possible to record a certain area on the machine screen or capture a game that uses the DirectX/OpenGL graphics technologies. PlayClaw is the best video game recording software that combines good performance with a strong feature set. If a user wants video game recording software that also has the ability to record the audio of the person then the Play claw is the best software. This video game recording software gives you everything you need to record high-quality videos of your gameplay. It is the best live streaming software, XSplit Gamecaster provides you with some robust streaming features. This is primarily live streaming software that allows you to connect directly to Twitch.tv and other streaming services. You can start recording with a single press of a button, and XSplit will configure the settings for you according to your PC. You can use features such as watermarks, picture-in-picture mode, and social media integration. XSplit Gamecaster allows you to edit videos with a built-in video editor. ShadowPlay by Geforce is one of the best video game recording software for streaming or recording your gaming moments. It is a free software which can record up to 4K resolution at 130 Mbps. ShadowPlay is supported by GTX 650 and higher series desktop graphics cards. The ShadowPlay comes with two modes, one is Shadow mode and other is manual mode. In the Shadow mode, all your gameplay from the last 20 minutes of high-quality 1920×1080 footage will be recorded and older will be deleted. So if you find any great moment to record, just hit a hotkey and the game video will be saved to disk. The manual mode is standard, you can turn on unlimited recording until you stop it. AMD GVR(Game Video Recorder) can continuously record your gameplay and easily save clips of your highlights, and supports stop/start recording as well. To start capturing gameplay, just turn GVR on in the Raptr client Control Center and begin playing. Hit Ctrl + / to save your last 15 seconds as an Instant Replay clip (15 seconds by default — you can extend that to 10 minutes), or use Ctrl + ; to activate start/stop recording. Then, when you’re done playing, you can easily upload and share your clips on Raptr and social media directly from the Gallery. Dxtory is a simple tool which offers a number of features and it is capable of recording videos up to 120 frames per second (fps). The interface is extremely simple and makes it very easy to understand all settings. Dxtory allows you to record two audio sounds simultaneously, like game sound and microphone’s sound which can be edited later separately.